Discover the legendary city of Kublai Khan and the Summer Palace! Beijing has witnessed thousands of years of history, and is now one of the most momentous cities in the world. Beijing is the essence of all things Chinese, so a Mandarin Chinese course in Beijing is the perfect introduction to this amazing country’s unique culture. As you learn Chinese in Beijing, you can sample every dish imaginable, enjoy a rickshaw ride along bustling streets or find utter tranquillity in centuries-old temples. 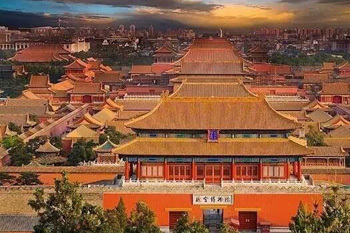 There are endless attractions to be found in Beijing, from sights like the famous Forbidden City and Jingshan Park to miles of tempting shops. 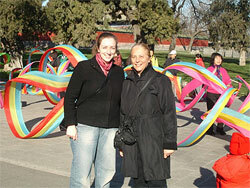 Our Beijing school is located in the city’s Central Business District (CBD), on the east side of central Beijing. This area is one of the most modern in the city today, with massive investment attracting new development. Within minutes of the school you can find a wide variety of restaurants, shops and bars. Our school is just 5 minutes' walking distance away from the Dawanglu metro station, providing you with the ideal base for exploring this captivating city! The school building has been designed around Chinese feng-shui principles providing an environment that enhances comfort and learning. In addition to having 11 well-equipped classrooms, students have access to a study area with excellent resources and a balcony where you can relax with a coffee (provided free of charge) after lessons and enjoy the view over the city. Free Internet access is also provided throughout the school. The complex where the school is located also has a cafeteria where students and their teachers often eat lunch together after lessons. A gym, basketball court, and swimming pool are also available for students to use! If this isn’t enough, there are banks, restaurants, and two shopping malls all located within five minute walking distance of the school! The school has excellent accreditations, being a member of IALC (International Association of Language Centres) and recognised as a HSK testing centre by the Chinese Ministry of Education. Students taking a Chinese course in Beijing can choose between an Intensive course which includes 20 Mandarin Chinese lessons each week, or a Super-Intensive course which includes 10 additional cultural lessons each week. The school also offer courses of private lessons which can be taken on their own, or together with a group course. 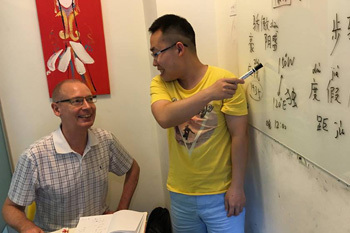 Private lessons are a great option if you want to focus on specific areas of the Chinese language. Each lesson lasts 55 minutes and group lessons have a maximum of just 6 students. This provides plenty of opportunity to practice speaking Chinese in the classroom and ensures you receive personalised attention from your teacher. Course materials are provided by the school and are included in the cost of your Chinese course. Want to get a real insight into the Chinese lifestyle and traditions? 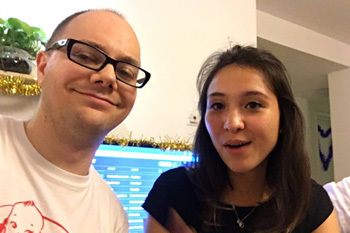 There’s no better way to do it than by living with a Chinese host family in Beijing! Our school goes to great lengths to ensure that only the best, most welcoming families are selected. Your host family will only speak to you in Chinese, so you’ll also benefit from lots of language practice! Meals are included on a half board (breakfast and dinner) or full board basis (breakfast, lunch and dinner) and are the ideal time to converse with your hosts. Our school also offers shared apartment accommodation where you will live with other people studying or working in Beijing. The apartments are located next to the China Media and Communication University and are fully-furnished, with air-conditioning and central heating. A private bathroom can also be arranged on request. In China, it is not customary for students to cook for themselves, so it is not possible to prepare meals in the apartments, although each apartment is equipped with a microwave and fridge which are available for students to use. Inexpensive meals can be bought at a cafeteria located within the complex. Students also have access to the apartment complex's gym, swimming pool and supermarkets, so you will benefit from great facilities! 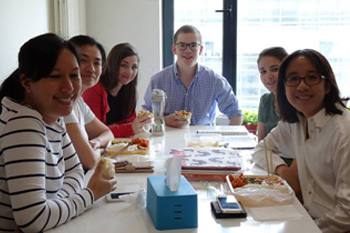 Our Beijing school prides itself on having an active social community. As you learn Chinese, you can take part in the varied activity program, giving you to get a taste of Chinese culture and helping you to meet other students studying at the school. 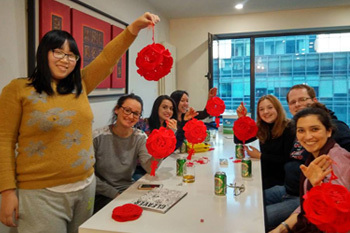 Every week the school will arrange a variety of different activities, with popular events including weekly student dinners, baijiu tasting, social evenings, excursions in and around Beijing where you follow in the footsteps of Emperors around the Forbidden City, experience life in a Chinese village with the school's overnight trip hiking along the Great Wall of China. 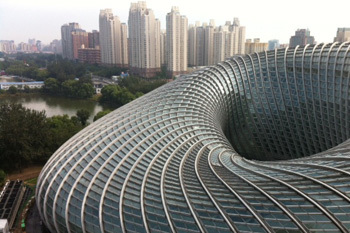 Visits to the 798 Art District, Tiananmen Square, the Olympic sites and Summer Palace are also popular activities. Arriving in Beijing can be something of a culture shock at first, but don’t worry, the school provides an excellent support network for students and you will feel at home in no time! In addition to the social and cultural activities organised, 24-hour support is available throughout your stay and all students can connect to the school’s ‘WeChat’ group, the perfect place to chat to other students and get recommendations about things to do during your stay! First time visitors to Beijing may also like to book the school’s survival package which includes an airport transfer on arrival, a pre-charged Chinese SIM card including 500MB 3G Internet and 10 minutes of free local calls during your first month, a Chinese bank account, bike hire for your entire stay, a public transport card with approximately 12 subway or 25 bus trips (depending on the distance of each journey) and your own locker at the school. Just contact us for more information and prices! 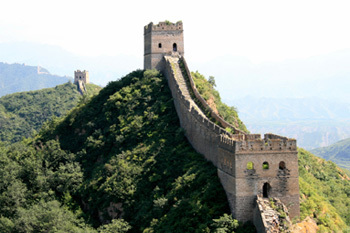 Transfers are available from Beijing Airport or the main train station in Beijing, at a reasonable cost.